Our success is driven by our people who are the backbone of our company. In order to succeed, we must not only provide an excellent customer service experience, but to also provide our employees, with an excellent working environment. We operate in a fast paced, dynamic and continually changing business environment where the contribution of our people and the systems we use is a distinct competitive advantage. We aim to recruit, retain and develop people who meet the individual job requirements and are motivated to continually make a difference, continue to strive improve customer satisfaction and to ensure the future success and growth of our company. Our culture is of Customer Service and integral to continuing to strive to create WOW Moments for our customers. We offer a range of benefits and training programs to increase our employee’s skills and knowledge so they can reach their full potential. A range of different apprenticeships, traineeships and jobs are available for people who are interested in computers, cars, technology and in fantastic customer service. Register your interest in our current vacancies below or submit your interest in being added to our contact list for future opportunities. After a 3 month qualifying period, staff are eligible to purchase goods or services at special prices provided they are for their personal use or the use of their partner. 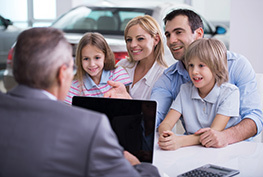 Significant discounts are available for New Vehicles, Used Vehicles, Finance, Parts and Service. Specific criteria must be met and further details will be provided on request prior to each purchase. The ability to use pre-tax dollars to purchase certain goods and services (e.g. motor vehicles). Our salary packaging contractor, Street Fleet, can provide you with detailed quotations and explain how it can work for you. The ability to allocate part of your pre-tax salary to your nominated superannuation fund. This allows you to contribute more to Superannuation with your taxable salary being reduced by the amount you sacrifice. Referring a suitable job applicant to our company will result in payment of $200 upfront with a further $300 when the applicant has successfully completed six months employment with the Group. Spotters Fees will be paid for referring sales opportunities for new and used vehicles when the vehicle has been delivered. This benefit does not apply to staff in the Sales Department. We’re commitment to training and encouraging personal and professional development. Individuals are respected and valued within a supportive team based culture. We work in partnership with motor manufacturers to provide state of the art dealership facilities for our staff and customers. You will also get the opportunity to use the latest equipment and technology in the industry. Industry and market competitive salary packages. We provide exceptional reward for superior performance.